Replacing the acclaimed Avon ZV5, the newly-developed ZV7 incorporates a range of advanced technologies that mean it offers a host of added features and benefits. The distinctive tread pattern of the new Avon ZV7 is designed with large circumferential grooves that clear water quickly and efficiently to reduce aquaplaning in the wet. It features sequenced tread blocks to reduce noise generated from the road, providing a quieter driving experience. The Avon ZV7 tread pattern also features 3D sipes, which have interlocking three dimensional points inside the sipe. The 3D sipes provide the same benefits of a traditional sipe, including helping the tyre warm up and providing enhanced wet grip, but limit the amount of flex in the tread block which helps control the amount of heat generation in the dry and keeps the tread block stable. Using the latest available polymer technology and advanced mixing techniques, the ZV7’s tread compound delivers excellent wet and dry grip while also reducing rolling resistance for great fuel efficiency. Tyre review data from 58 tyre reviews averaging 79% over 288,406 miles driven. Positive - Quietest tyre on test. Negative - Weakest tyre in the dry and wet. Positive - Good aquaplaning result, good comfort. Negative - Understeer in the dry, average price. 2017-05-03 - Could you let me know ZV7 tyres are unidirectional please? I have purchased a pair of 225/40/R18 for my VW Golf online, I request a pair suitable for my front axle, nearside and offside front, however they have arrived today and appear to for one side only, ie inline. I would be grateful for your advice. The Avon ZV7 is asymmetric, which means it can run in any direction. The tyre must be mounted correctly on the wheel, but it can go either side of the car, even if the tread pattern does look slightly different side to side. Great dry grip in any direction! Wet grip is excellent when starting and stopping; they do slide a bit when pushed to the limits although you do have to push it very hard! The ride is smooth at all speeds although this does limit the feedback you get for them. 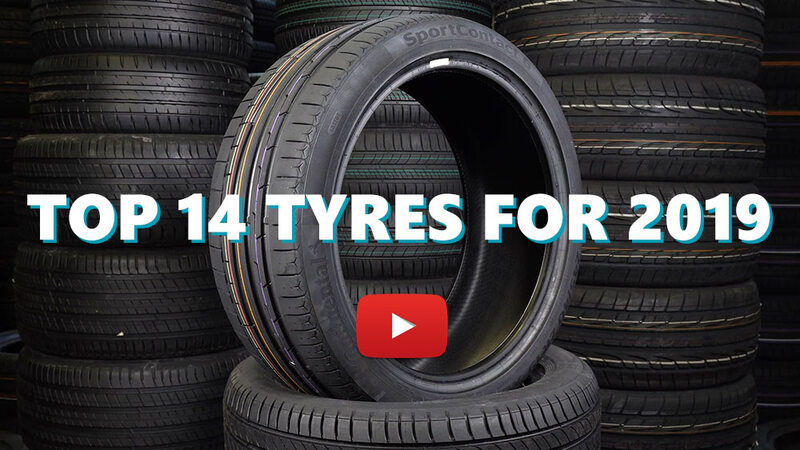 Overall they are fantastic value and they definitely keep up with tyres over twice the price. Have you driven on the Avon ZV7 tyre? Please help millions of other drivers make an informed tyre choice and pick the correct tyres for their car by submitting your review of the ZV7. These are the best all round tyres I have had on my Audi. They are not ultimate performance tyres, but I didnt buy them for racing. I live in the wilds of Somerset and much of my driving is on little muddy twisty lanes, with some fast A roads and the occasional motorway blast. I chose them because I know Avon has good pedigree, they seemed like really good price - not much more than horrid budget brands - and because the tread pattern looks to be chunky and rugged. And it is, if anything more so than the pictures show. This I think is important as they have to deal with all kinds of terrain on my car. I fitted them last year and they were quiet and comfortable in the hot remainder of summer, surefooted in the rain, and just incredible in the recent snow. My back lane had about a foot of snow, and the car turned out of its parking space and just drove down the lane without slipping at all. I cannot comment on wear yet as they are still quite new to me. I usually drive on Conti Premium Contact and I reckon these are as good - certainly for my purposes and I would buy them again. These were a reluctant replacement for unavailable Kumho PS71. Unfortunately they are nowhere near as good, on my car at least. The tread blocks are too mobile which gives the overall feel of nervousness and makes the handling a little woolly. Dry grip is adequate, but on any sort of slippery or wet surface they are pretty poor breaking traction all too easily and feeling very indistinct and not confidence inspiring at all. Road noise is worse than the Kumhos (and previous Nexens, Dunlops, etc) and the ride is compromised also. Personally, can't recommend these and I'm waiting to see how long they last. Would have lasted 20k miles were it not for a pot hole paid £240 fitted at Halfords. Quiet, good feed back, great in the cold and wet plus cornering was excellent. Replaced with Michelin PS4, I think I should have stayed with the Avons! I have a 2012 e350 and fitted these tyres only 4 months previously having had the wheel alignment done twice as I had the fronts done 2 months after. I drive very steadily, and have only done 3000 miles on them. They are evenly worn down to the canvass. The wear is staggeringly bad and I’ll be heading back to the garage to seek a refund as the previous tyres lasted well over 18 months. The car is in excellent condition having been bought from Mercedes last year. I can only assume it’s a manufacturing issue as the car has been thoroughly checked. The fronts are fine at the moment. As they were only changed 2 months ago. Just had them fitted to a Nissan Leaf and upsized from 16 inch to 17, quieter and softer than the original Dunlop,but have yet to test the energy economy.